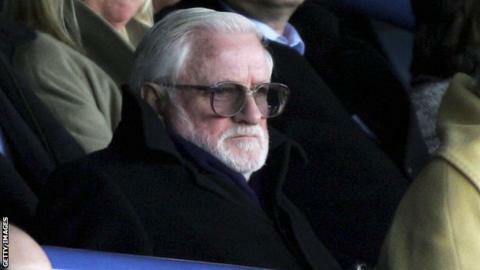 The proposed takeover of Leeds United is approaching completion, according to chairman and owner Ken Bates. Bates told the club's website that Middle East-based private equity group GFH Capital has now provided proof it has the funds to close the transaction. Bates said: "It's been a long road but we are in a good place. We hope to complete very soon." Talks began at the end of May and Monaco-based Bates recently blamed GFH's lawyers for the long delays. However, in a joint statement, GFH deputy chief executive officer David Haigh warned there were still issues to be addressed. He said: "With the money in place we are poised to make this deal happen, pending agreements and arrangements which are in the interests of the future of Leeds United - we need to make sure all the finer detail is addressed before trading signatures." GFH chief investment officer Saleem Patel attempted to address supporters' concerns regarding the level of investment GFH intends to make in the club. He said: "We understand there is some concern related to how Leeds United would be run under our stewardship. "It remains important to be clear that Shari'ah law will not hinder this transaction nor will it affect the future operations of the club. Bates owns 72.85% of Leeds United after his company completed a deal with previous owners FSF Limited last year. The former Chelsea owner has been chairman of Leeds since 2005, when he turned his attention to the Elland Road club after failing in a bid to take over Sheffield Wednesday.